I've had the original beautyblender® for awhile now and I love it. It's a non-disposable sponge applicator that gives you flawless makeup application. 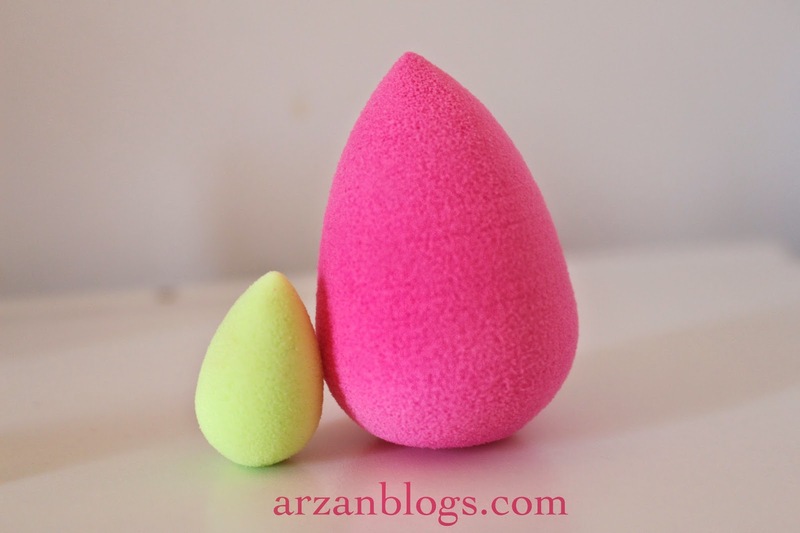 Click here for more information on beautyblender® (beautyblender 101, colors, price, review). 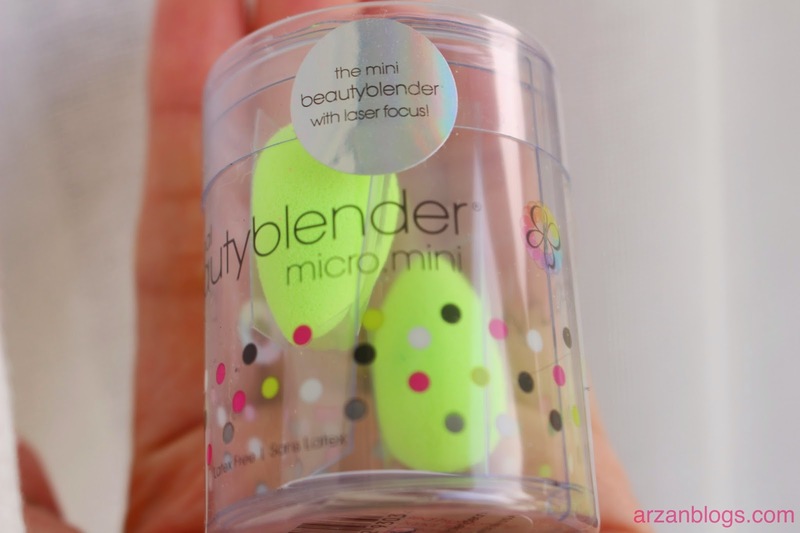 Beautyblender® recently released their mini version of it: beautyblender® micro.mini. The set comes with 2 sponges and it's designed to be used for smaller areas of face: inner corners of eye, nose, cupids bow, etc. I initially wanted to buy these because they're super cute. However, I was hesitant and didn't feel like these may be worth purchasing since I was really satisfied with original beautyblender® (I use it for almost everything: foundation, concealer, contour/highlight). After watching few YouTube videos, I felt like these might be worth getting. 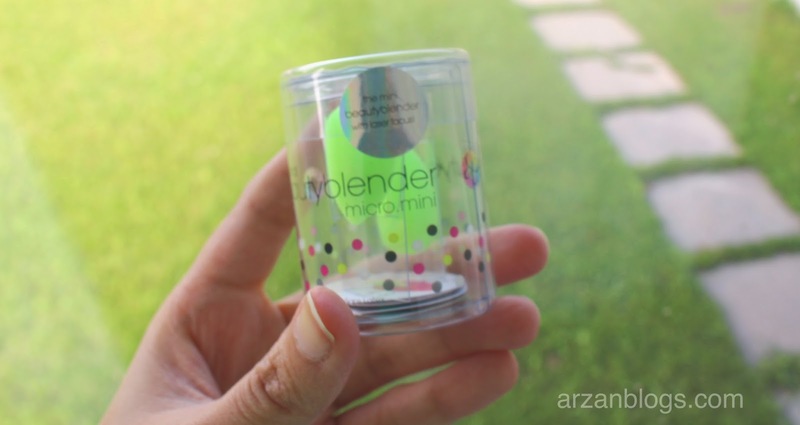 There was a promotion going on at Sephora that allowed beauty insiders to earn double, tripe or quadruple points (Click here to read my blog post on it), so I decided to order beautyblender® micro.mini. Durability: Each sponge is typically good for about 3 to 4 months if you use it daily. However, proper care is required. Retail Price: Two mini sponges for $24 CAD ($17.95 USD). I ordered mine online and when I saw them in person, I couldn't believe how small they were! It's like beautyblender had twins! Each of them is about a quarter the size of original beautyblender®. 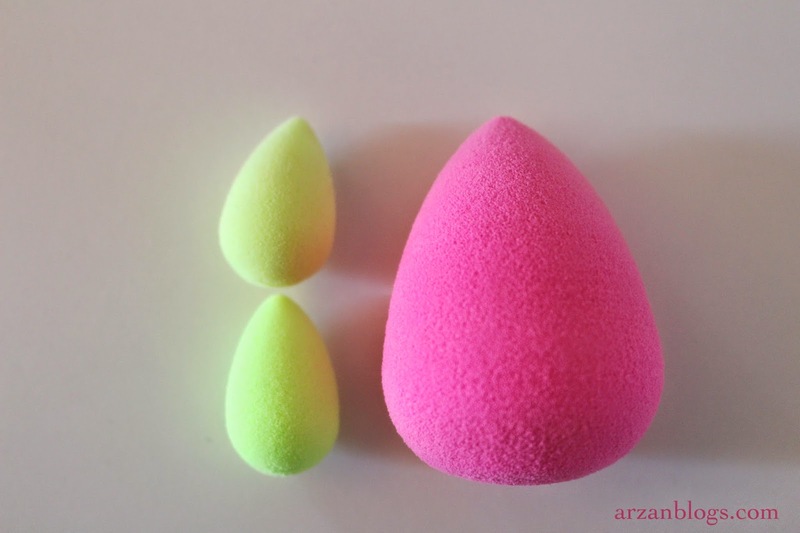 A damped beautyblender is much bigger than the dried one. Do not rub. The bouncing motion gives a flawless finish. It's mainly used for highlight/contour especially for the smallest areas of face. It's small enough to be used in the inner corners of eye, lower lash line, brow bones, side of nose, etc. 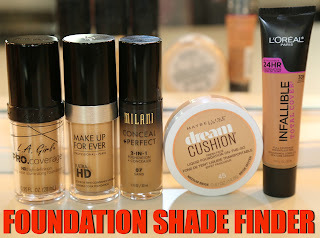 It's great for highlighting/contouring nose! It's also good to blend out concealer or highlighter under the eye especially the inner corners and lower lash line. 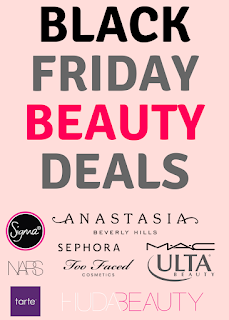 You can also highlight other areas: brow bone, cupids bow, etc. Just like with all beautyblender sponges, hygiene is a must! If you don't wash it often, bacteria will build up and you may get breakouts. Also, if you store it without letting it dry, then you might even have some mold growing on it. Yikes! Needless to say, you should was it as often as you can (preferably every use) and let it air dry before storing it. This is the one I have and I really like it. I use it to wash my brushes as well. Store it after it's completely dry. If you don't, mold may grow on it. *The pros/cons in red apply to beautyblender in general, while the ones in green apply only to micro.mini. Precise application: It lets you apply makeup precisely on small areas of your face (inner corners of eye, under lash line, sides of the nose, cupids bow, etc. Expensive: These mini sponges are quite pricey. Even though you get 2 for slightly lower price than original beautyblender®, keep in mind that you're getting about half of the product and paying slightly less. 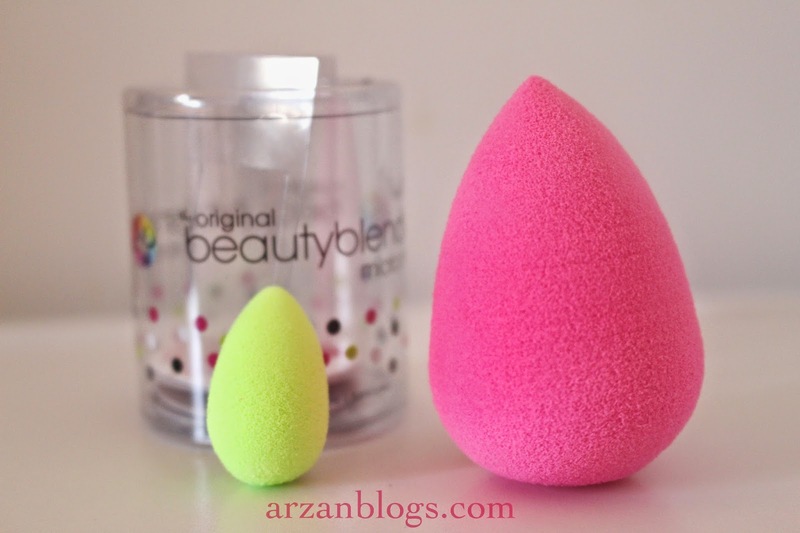 The original beautyblender® can be used to apply foundation, blush, highlighter, concealer, etc. On the other hand, beautyblender® micro.mini is mainly used to precisely apply concealer/highlighter and/or contour small areas of face (nose, brow bone, inner corners of eye, under lash line). I normally start by blending the inner corners and under lower lash line with mini sponge and then I use my original beautyblender® to blend out the rest. 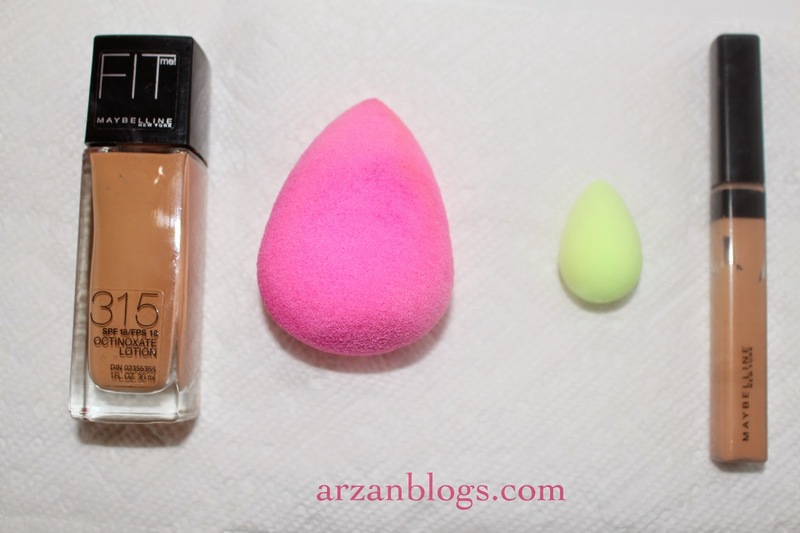 I can use beautyblender® micro.mini instead but it just takes longer. When I have time to get ready, I like using beautyblender® micro.mini because it does precisely blend out the small areas. However, when I'm running out of time, I mainly use my original beautyblender®. I find it's much faster to use just one sponge especially since you have to wet it before using and then wash it afterwards. Is it worth buying micro mini? Even though I don't use them that often, I do love these mini sponges and I certainly don't regret buying them. Each sponge should last me about 6-8 months because I don't use them often and keep them clean. I would recommend these if you want to use it to apply makeup on small areas of your face (inner corners of eye, brow bone, nose, cupids bow, etc). 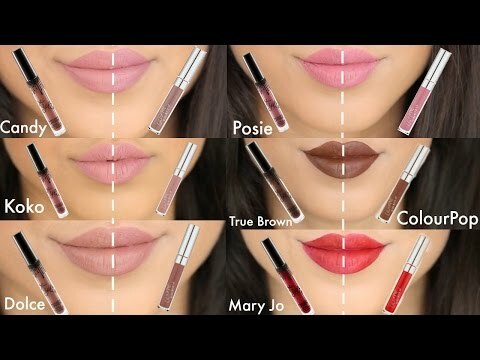 However, if you rarely highlight/contour and/or use your brush/fingers to blend out small areas, then I wouldn't suggest you these. 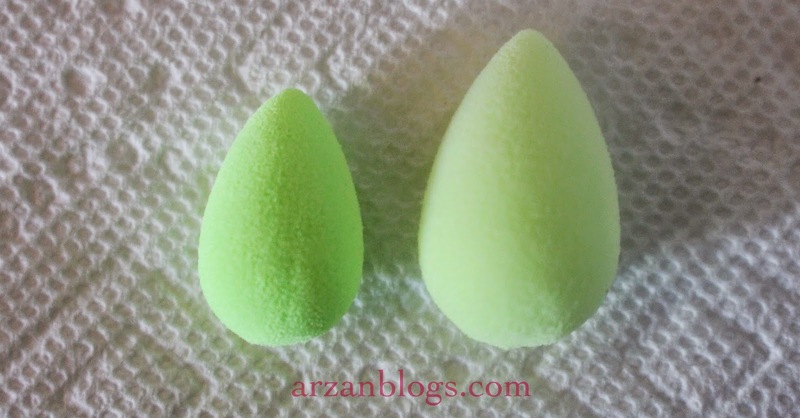 You may be better off with the regular size beautyblender.